NGBS co-chair Jennifer Greenstein, North Carolina State University, moderated a panel of four young scientists from around the world during the National Biodiesel Conference in San Diego. 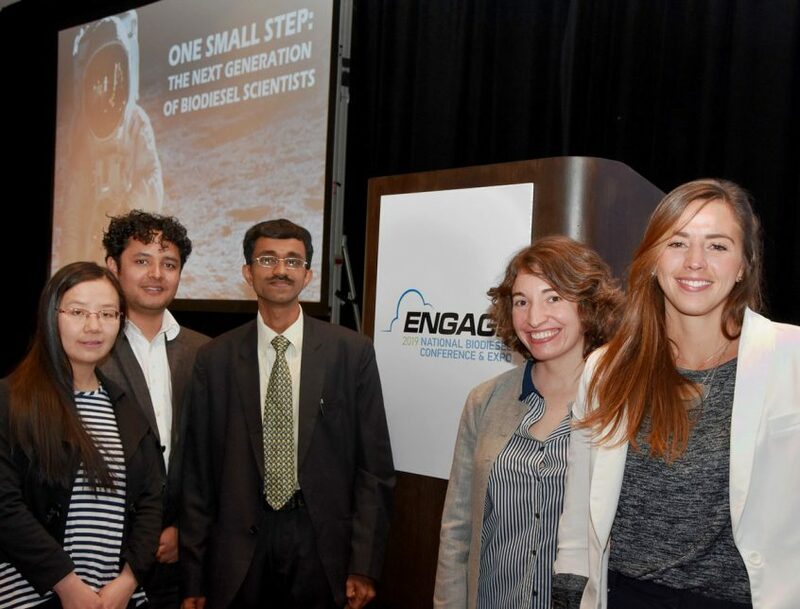 Haixin Peng, Auburn University is from China; Shyam Paudel, Missouri University of Science and Technology, grew up in Nepal and is another NGBS co-chair; Santhosh Poojary, NMAM Institute of Technology-Nitte in India; and Tatiana Melloa at Louisiana State University comes to us from Brazil. What they all have in common is a love for science and biofuels.